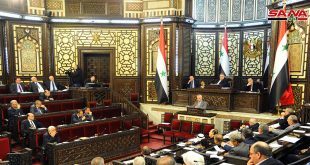 Damascus, SANA – The People’s Assembly discussed at its session on Sunday, chaired by Speaker Hadiyeh Abbas, the Budget and Accounts Committee’s report on the 2017 state budget bill. 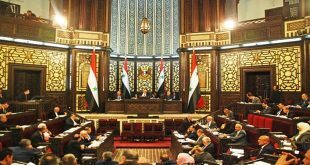 Head of the Committee Hussein Hassoun stressed that the 2017 investment budgets of all the ministries and government institutions have been transparently discussed, adding that the Committee focused on the issues of boosting production efficiency, improving performance, rationalizing expenditures and reducing costs. 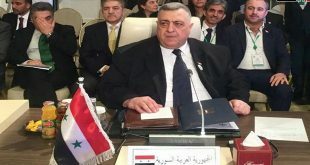 He noted that one of the Committee’s recommendations was raising salaries of the members of the Syrian Arab Army members and the Internal Security Forces in appreciation of their sacrifices, in addition to creating a public institution that will be concerned with looking after the martyrs’ families. 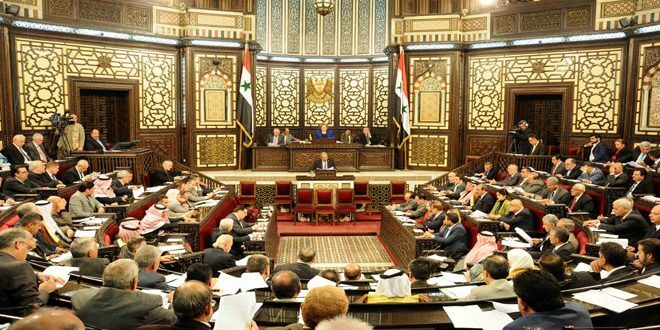 In another context, Speaker of the People’s Assembly Abbas expressed in her statement at the session sincere condolences to the Cuban people, leadership and Parliament over the death of the Great Leader Fidel Castro.